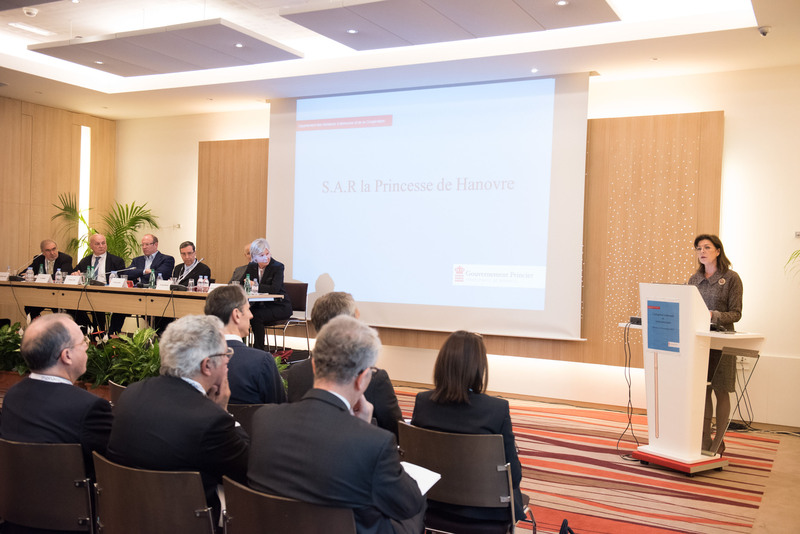 HRH Princess Caroline of Hanover Participates in a Symposium in Monaco. On November 23, 2015, Her Royal Highness Princess Caroline of Hanover, as President of AMADE Mondiale, participated in a symposium held under the theme, L’adoption Nationale et Internationale, in Monte-Carlo, Monaco. Last month’s meeting was organized by the Gouvernement Princier Département des Relations and Coopération.